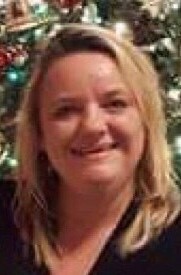 PORTAGE – Theresa Sue Konkel, age 46, passed away on Wednesday, March 27, 2019, in Poynette. Theresa was born on September 1, 1972 in Baraboo, the daughter of Harley and Linda (Hutchinson) Putman. She married Brian Konkel on September 15, 1990, he preceded her in death on July 6, 2018. Theresa loved spending time with her family and friends. She loved spoiling her grandchildren. Family meant everything to her. She enjoyed traveling and riding Harley’s with her husband and friends. Theresa was especially fond of her dog and special companion, Rocky, who went everywhere with her. She owned and operated American Maid Cleaning Service in Poynette. She is survived by her parents, Harley Putman, of Baraboo and Linda (Bob) Miller-Galston, of Muscoda; her children, Brittny (Rob Helf) Konkel, of Arlington, and Timothy (Becky) Konkel, of Poynette; her brother, Scott (Melissa) Putman, of Lyndon Station; her sisters, Jolene Putman and Lorilee Miller, both of Muscoda; her sisters-in-law, Brenda (Rob Bloch) Konkel, of Madison and Heidi (Clint Otto) Konkel, of Madison; her grandchildren, Grayson Helf, Rylie Konkel, and McKenzie Konkel; her mother-in-law and father-in-law, Raymond and Bonnie Konkel, of Wisconsin Dells, her nieces and nephews, Skyler (Tori), Cassandra, Brandi, Alexis and Carson, other relatives and many friends. She was preceded in death by her husband, Brian, and her step-father, Bill Miller. 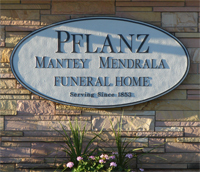 Visitation will be held on Wednesday, April 3, 2019 from 9:00 a.m. until 11:00 a.m. at the Pflanz Mantey Mendrala Funeral Home in Poynette. Funeral services will follow the visitation at Arlington Cemetery with Rev. Greg Hovland officiating. A luncheon will follow. In lieu of flowers, memorials may be made to the Theresa Konkel Fund at Hometown Bank in Poynette.